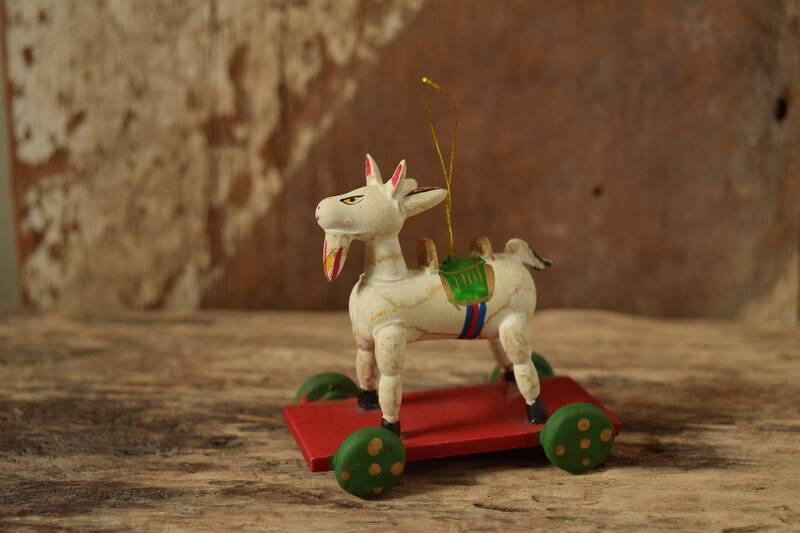 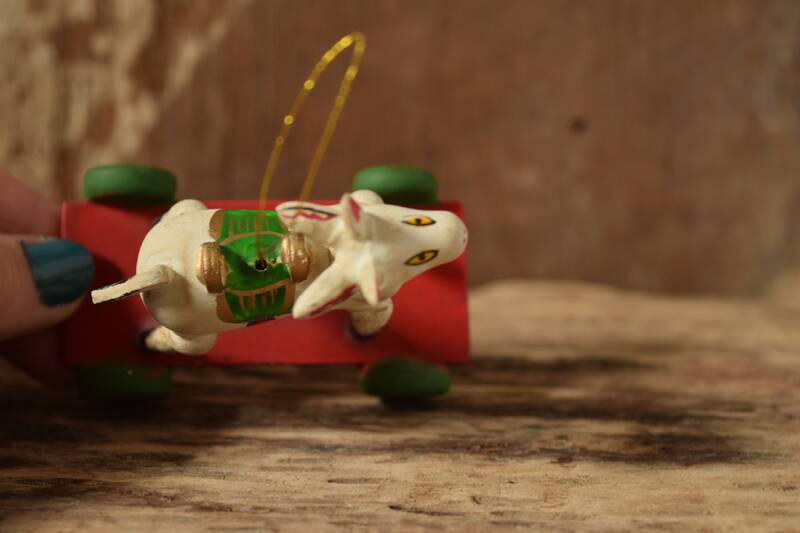 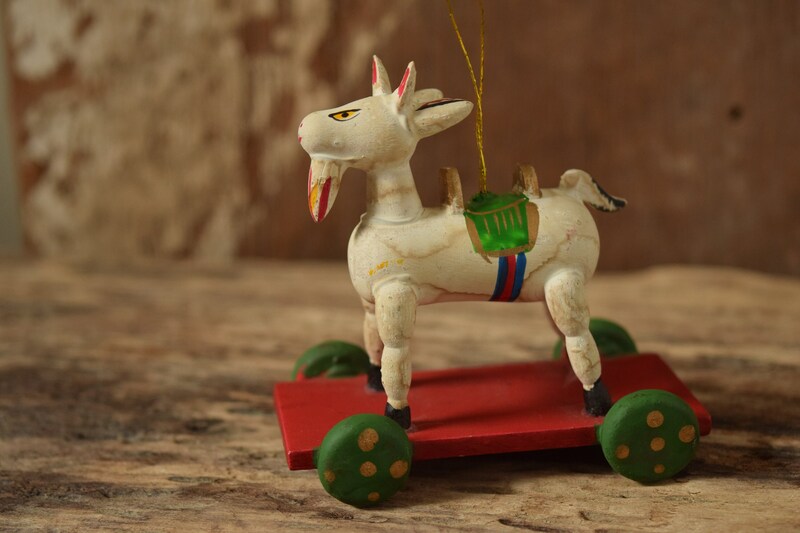 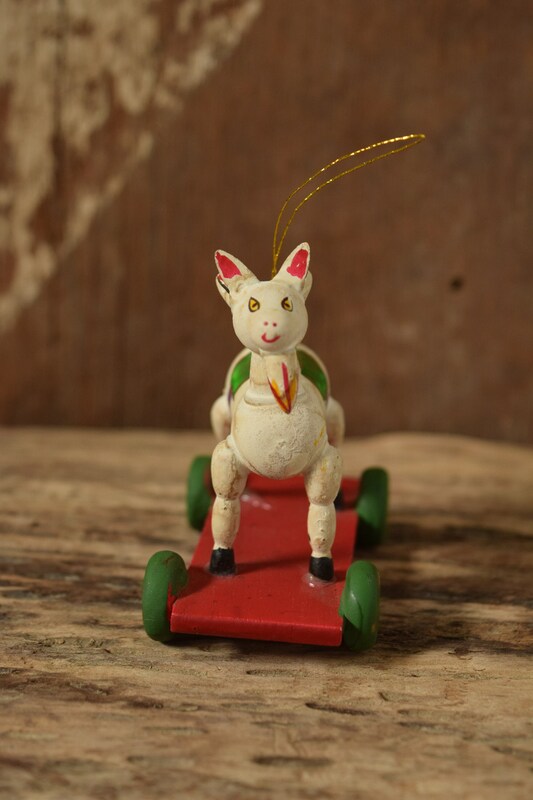 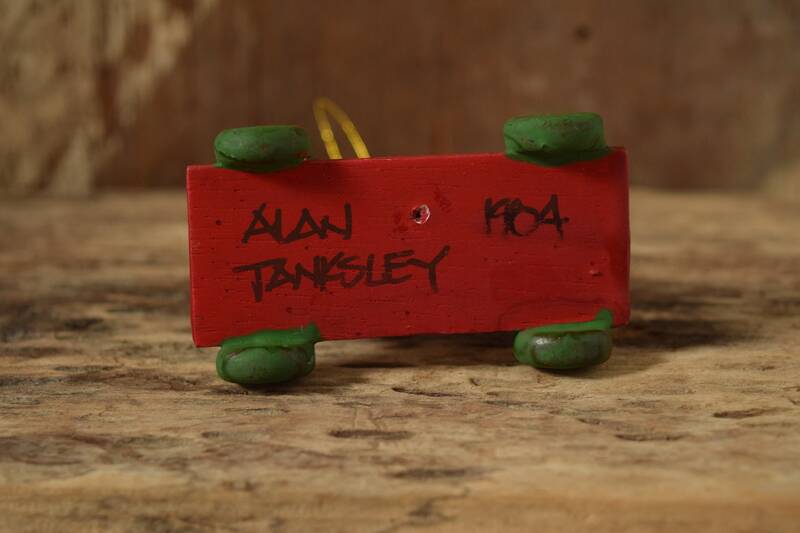 A twist on the classic Christmas rocking horse, this wooden ornament features a saddled goat on wheels. 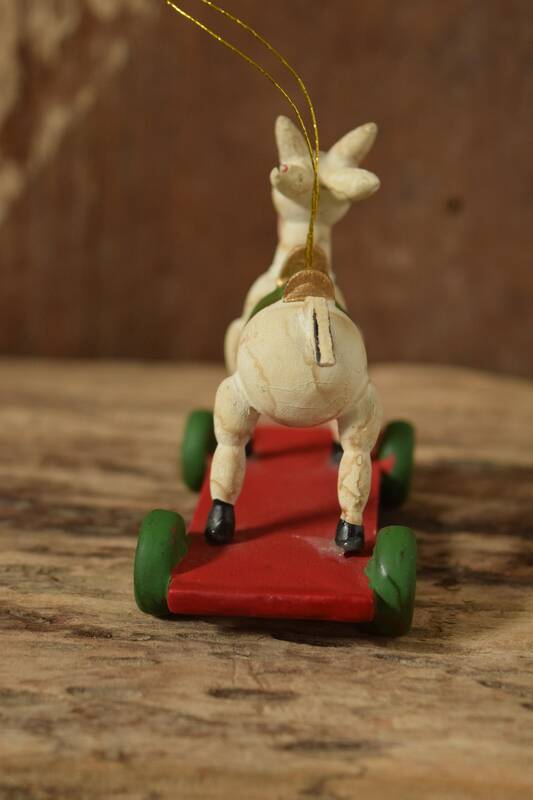 It does have some visible water marks, but is in otherwise good condition. 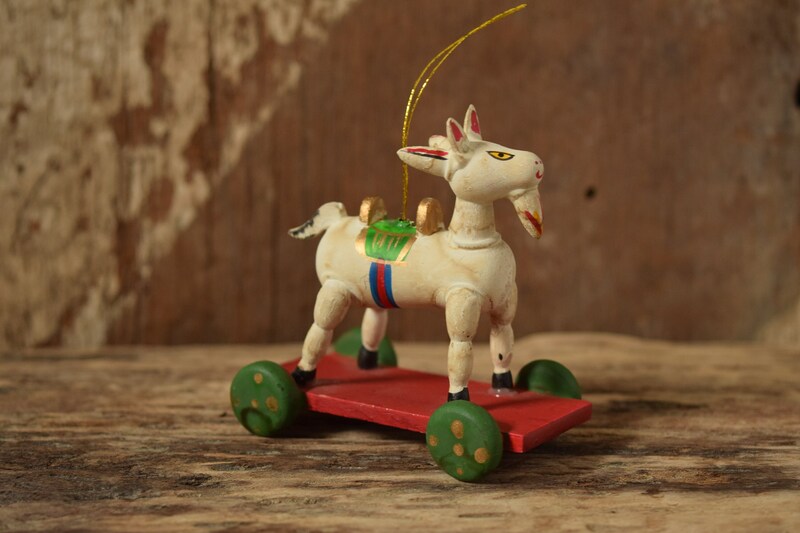 *Please know color can vary with your device or it's settings and may not be true to the item pictured.